3...2…1… What comes to your mind when I snap my fingers and say the word ‘spy’? Gotcha! You are thinking of James Bond. Well no, it doesn’t require some kind of a voodoo mind hacking technique to figure that out. On-screen British secret agent Bond has a bad habit of getting in the head. Anyone who has watched a Bond movie can never forget James Bond. Be it Sir Thomas Sean Connery from the good old days, Pierce Brosnan or Daniel Craig, the adrenaline pumping James Bond packs a punch like no other with his magical charm and daring adventures. Last night while watching Casino Royale, I was just wondering, do we have anyone in the Indian intelligence with fire inside to pull off Bond-like stunts? A bit of research, and I stumbled upon Ajit Doval, who happens to be the present National Security Advisor of our country. So what? I thought. What’s so remarkable about him? What makes him legendary? What makes him James Bond? For some reason, I always underestimated the Indian intelligence - don’t blame me - blame Bollywood for dispensing trash like “Agent Vinod” and “Ek Tha Tiger.” I know, I am not alone. There are probably a million others who underestimate the capabilities of Indian intelligence agencies. Hold on! Here’s a bit about super-spy Ajit Doval's awe-inspiring undercover operations that will leave you all open-mouthed. Year, 1966. The Mizo National Front (MNF) is creating mayhem for establishing a separate sovereign state. Amidst this turmoil, Ajit Doval slips into MNF as an undercover and casts a spell. 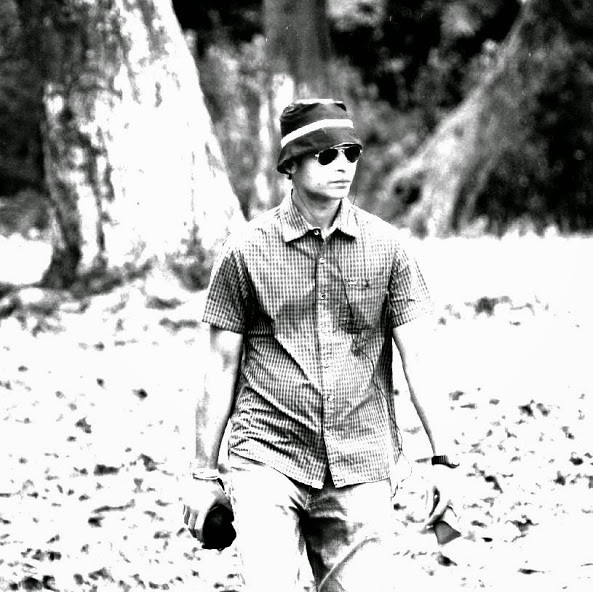 He wins over 6 out of 7 commanders of the Mizo National Front who were fuelling the unrest. This eventually sucked the life out of the Mizo insurgency. A few years later, Doval was assigned a top-secret mission in the north-eastern state of Sikkim. This was a highly secret operation, and not many details were made public. All we get to know is that Ajit Doval’s presence facilitated the merger of Sikkim with India on May 16, 1975. Kuka Parray, the founder of 'Awaami League', was previously a dreaded terrorist who supported the insurgency movement in Jammu and Kashmir. Enter Doval, and the scene changes dramatically. Within days, Kuka Parray was passing inside information to the Indian army. This vastly helped the Army’s counter-insurgency efforts in suppressing militancy, which finally paved way for elections in the state. Though most of Ajit Doval’s work in Pakistan is classified, what little information is available, won't fail to stun you. Doval stayed undercover in Pakistan for 7 years! You heard me right. 7 years. 7 years in the Islamic state of Pakistan, living a fake life, with a fake ID, following a different religion! Can you imagine that? It’s not a movie. A misstep, and you will be either shot in the head or tortured till death. During his stay in Pakistan, Doval sent crucial information about Pakistan's terror networks, CIA connections, and nuclear development projects. Year, 1988. Setting - Golden Temple, Amritsar. Grab your popcorn and get ready for some high-voltage real life action. An unknown number of Khalistani militants have taken over Golden Temple. They are armed and dangerous. To make things worse, they have taken civilians as hostage including Romanian Diplomat Liviu Radu. The Home Minister of India, to come out of this crisis situation, asks the army to take action. Top Army officials hurriedly gather for a high-level meeting. Commandos from the National Security Guard (NSG) are called in. But attacking the temple without exactly knowing the enemy position and strength will be suicidal not only for the commandos but also for the civilians inside. The government is totally shaken. It doesn't want to take chances. The NSG is put on high-alert, but still no orders from the high command for an all-out action. Next morning, a rickshaw puller is seen loitering outside the temple. This man is persistent. He keeps lingering suspiciously. In this tensed situation, a man never to be seen before, surely catches the attention of militants. A group of terrorists pick him up and take him inside. 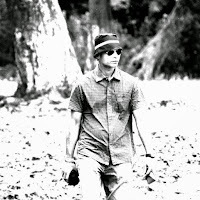 Who is he? Why is he roaming around? His intentions are not clear. Inside the Golden Temple, top Khalistani militants like Surjit Singh Penta, Karaj Thande, Bhag Singh, and Chanchal Singh are strategizing their action plan. The rickshaw puller is brought to Sikh separatist leader Surjit Singh Penta. The timid-looking man pulls out a card from his pocket and hands it over to Penta. He leans forward and whispers something. Seems like a code! Penta is overjoyed. He pulls him closer and hugs him. Victory is ensured! This man, the rickshaw puller, is actually an ISI agent who has come over to help the Khalistani movement. He shares valuable information and sets up the plan. He now has access to the whole complex. According to him, the Indian army won't launch an attack from the front. They won't repeat the same mistake, the mess created by Operation Blue Star. Surprisingly, the militants find that the NSG is gathering at the back door of the temple. The intel is confirmed. The ISI agent asks Penta to move the civilians at the front gate so that a message is sent that the Khalistanis are not harming locals. This will help them garner local support, he says. It sounded convincing. All the civilians were brought forward. In the meantime, the 'rickshaw puller', after passing on vital information and making necessary arrangements, whisks off. Seeing the troop deployment at the back side of the temple, the Khalistani terrorists take positions accordingly. Wait a minute. Do you really buy the idea that the rickshaw puller was an ISI agent? No, my friend, he was Mr. Ajit Doval, the man behind Operation Black Thunder. So, what happened next? The security forces now have specific information about the enemy position and their strength. While the militants are busy guarding the back, the NSG breaks into the temple from the front door and secure the civilians. The NSG commandos catch the terrorists off-guard and easily neutralize them. Case closed. This high-grade operation is a classic espionage activity that beats fiction. It was hailed globally. The operation provides a case study for 'spy schools' worldwide. 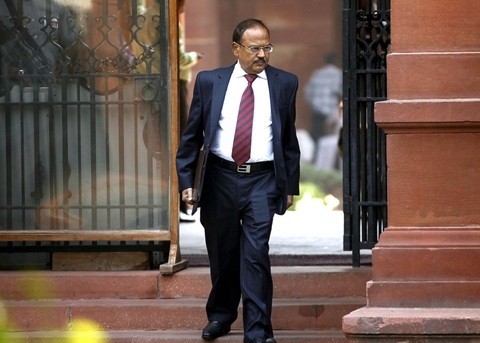 Ajit Doval, a Kerala cadre IPS officer, was awarded Kirti Chakra in 1988 for his exceptional contribution to our nation. He is today the National Security Advisor in Narendra Modi's government. He secures our country from enemies and makes us feel safe. I script pieces on emerging defense technologies, the Internet of Things, Cloud Computing, Memory, Display, Fin-tech, and a variety of other topics that are increasingly evolving in this digital era. I take up research sincerely so that every article of mine resonates perfectly with its audience. My content solutions include Press Release, Blog, and Article creation along with other value-for-money offers like spinning and rewriting.